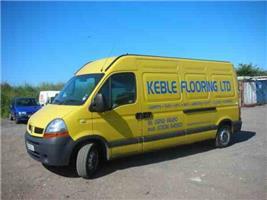 Keble Flooring Limited - Carpets/Flooring based in Blackwater, Hampshire. Invoice history based on 229 reviews. Keble Flooring a flooring company you can depend on to get the job done no matter how big or small, Keble Flooring covers it all. Keble Flooring Ltd is an independent specialist flooring based in Yateley, Hampshire, established for over 25 years and serving mainly Surrey, Hampshire and Berkshire. Our team are able to assist you with all your flooring needs whether it be a complete refurbishment of an office block, or bedroom carpet or flooring for your kitchen. All our fitters are extremely experienced and aim to make the installation of your new floor covering worry free from start to finish. We will uplift and remove your existing flooring, carry out whatever preparatory work is required and then fit your new flooring. We are able to assist in the removal of furniture and will always leave the job in a clean and tidy manner. We are members of Hampshire County Council’s Buy with Confidence scheme. This ensures that you have complete piece of mind in the tradesmen working in your property.